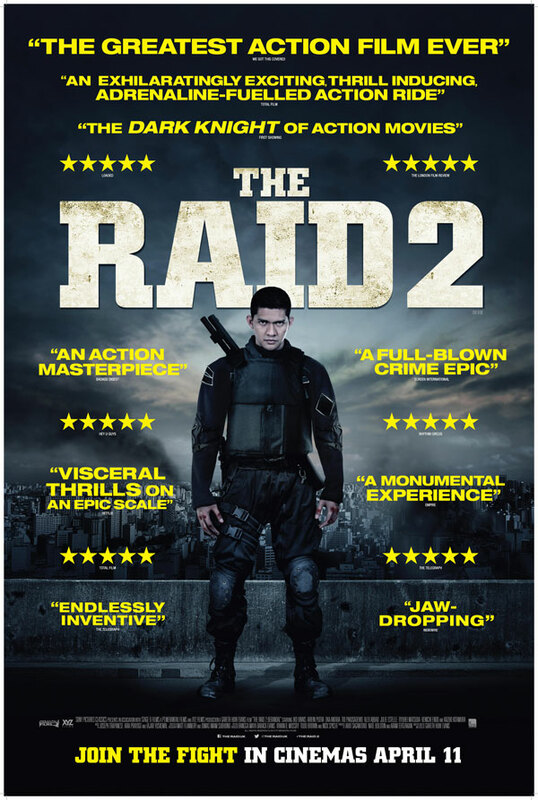 Breaking out of the tower block and into Jakarta’s criminal underworld, and featuring some of the most breath-taking and bone-crunching fight scenes ever committed to film, The Raid 2, released in the UK & Ireland on 11 April, is set to be the must-see action film of 2014. He thought it was over. After fighting his way through a seemingly impenetrable building filled with gangsters and madmen, rookie Jakarta cop Rama (Iko Uwais) thought his mission was done and he could live a normal life. He couldn’t have been more wrong. His brutal and bloody victory has attracted the attention of the top level underworld kingpins. With his family now in danger, Rama has only one choice to protect them: he must go undercover, infiltrate the criminal organisation that runs the city and work his way to the top until he reaches the corrupt politicians, police and gang bosses who secretly pull the strings. So Rama begins a new odyssey of violence, taking on the new identity of a vicious thug and entering prison in order to win the trust of the incarcerated son of a prominent crime lord to join the gang himself and take them down once and for all. The Raid 2 is directed by Gareth Evans who follows up his original smash hit The Raid, expanding the mythology of Rama’s world, increasing the level and complexity of fight choreography and introducing us to a glorious new gallery of villains, from crime lords Bangun and Goto, and mysterious assassin Prakoso, to the iconic Hammer Girl and Baseball Bat Man. 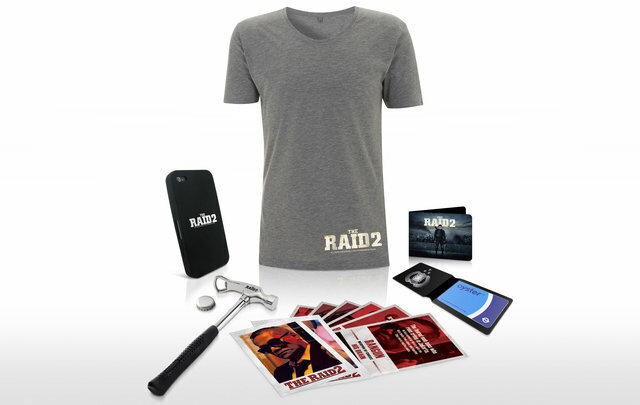 To celebrate the release of this amazing movie, we are giving away 5 sets of brilliant The Raid 2 merchandise! The competition closes at 23.59 on April 25th 2014.